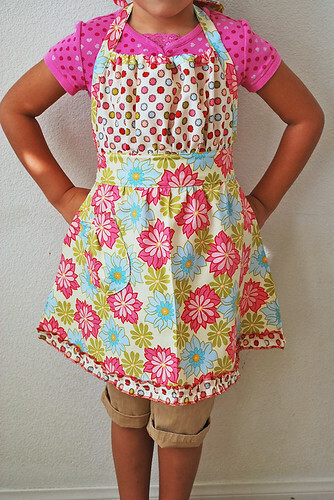 Pretty Ditty: Aprons and potty talk. The first two aprons are going to be part of a raffle for my children's elementary school. Each class has a theme basket, which parents are asked to donate an item for auction. My daughter's classroom theme is Baking in the kitchen with Grandma. Perfect! I can totally do that. (Just in case you're wondering, I did not make her pose like that. She insisted on doing some sort of pose for every picture. She's a funny bunny.) 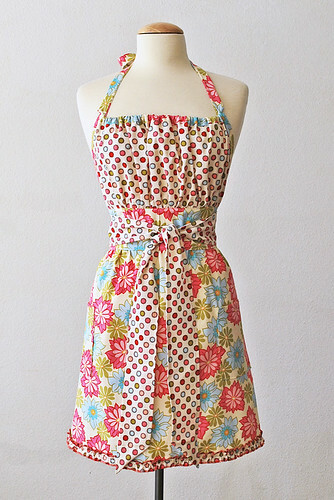 The last little shooga booga apron is a custom apron order for a friend of mine. Here's to potty training my last child. Yes! Positive reinforcement is what it's all about. That's what I did, as well as flushing the potty. He could not do either unless he went. The matching aprons are absolutely wonderful. Whoever wins them is so fortunate!!! Aaahhh, potty training. 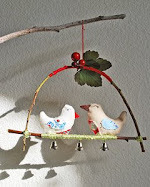 Well you've already succeeded twice before, so trust the process, but I know it is labor intensive. Aaahhh, no more diapers. YEAH! Potty training is so much fun. We are just beginning with the twins and the new dog ... my house smells. I might need to find somewhere else to live. Tonya - Twins and a dog... WOW! You should write a book when your finished potty training. 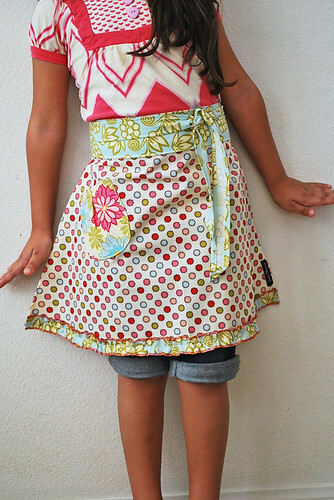 Even though I don't really like aprons, these ones look very creative, I would get myself one and my daughter would like to get such one as a present - she likes bright colors and unusual ideas. Smadav Antivirus 2019 is the ideal security software in the world for the protection of PC. It maintains guaranteed PC from worms, spyware, malware, and viruses. It protects PC when customers are sharing data or data from virus infected PC to various PC.